On Sept. 1, Teamsters Local 700 Steward Jimmy Janchenko will start his new role as Lieutenant of Roberts Park Fire Protection District. 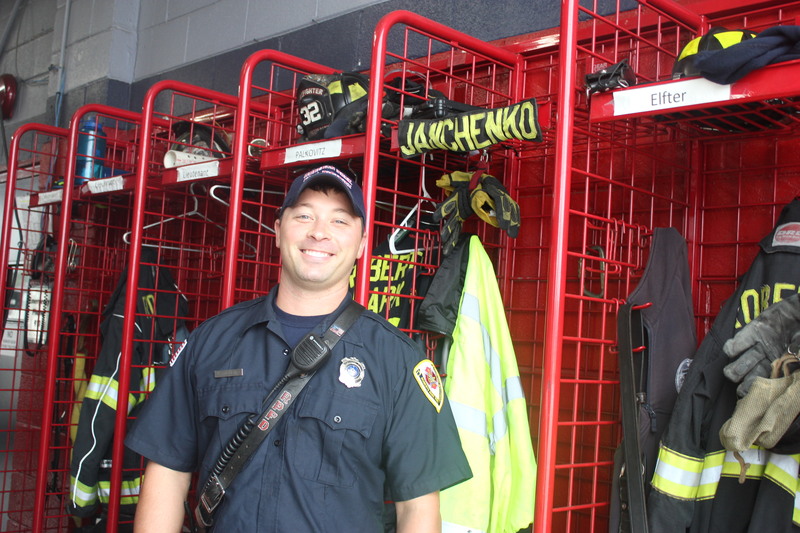 After working nearly five years as a firefighter at the Roberts Park Fire Protection District, Teamsters Local 700 Steward Jimmy Janchenko has been promoted to Lieutenant and will assume his new role on Sept. 1. To be considered for promotion to Lieutenant, Jimmy went through a series of tests, including a written exam and a Chief’s evaluation. With his seniority, and the high score on the tests, he was first on the list to become Lieutenant for when the vacancy opened up. The Roberts Park Fire Protection District coverage area includes all of Justice, Ill., 90 percent of Hickory Hills, Ill., some unincorporated parts of Cook County, and a stretch of I-294. As Lieutenant, Jimmy will be in charge of 10 firefighters between Station 1 and Station 2, both located in Justice. All full-time employees are certified paramedics as well as firefighters and Jimmy will be in charge of the District’s EMS system, making sure the ambulances are up to code, fully stocked and that each firefighter/paramedic keeps their license active. He will also oversee the various training drills that the firefighters go through to test their skills and equipment in different scenarios they may face as first responders. Before working at Roberts Park, Jimmy was a firefighter in a couple of different cities, including Summit, where he was a part-time firefighter and first became a Teamsters Local 700 member in 2010. “As we are out there trying to save lives, it’s helpful to know Teamsters Local 700 is there to support and protect us when we need it,” said Jimmy.